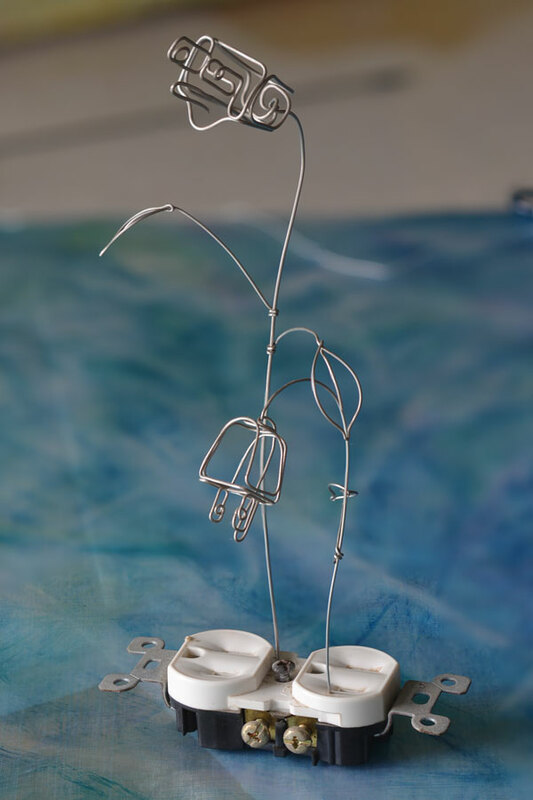 As a designer, maker, and artist, Tim Elverston's earliest memories, and most powerful interests, have always revolved around our atmosphere and flight. What started as intense bird envy has become an enduring, and infinitely versatile passion. While diverse, Tim's work is now highly refined. 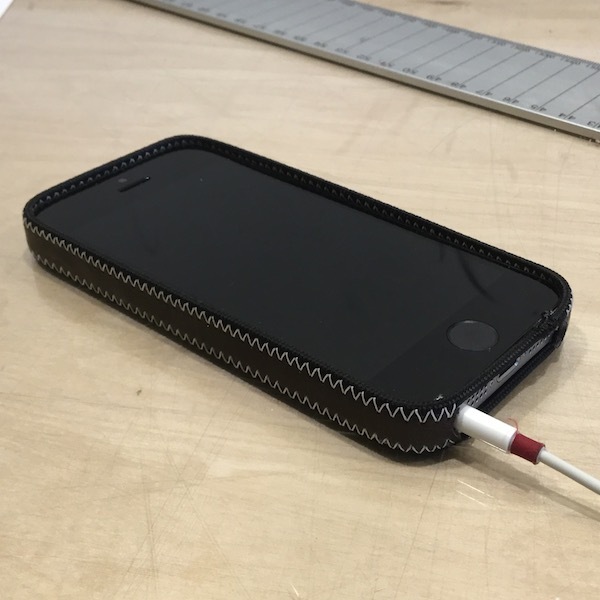 In 2001, he started a handmade technologies company called WindFire Designs. Tim is strongly influenced by his collected knowledge of the natural world and the material sciences. 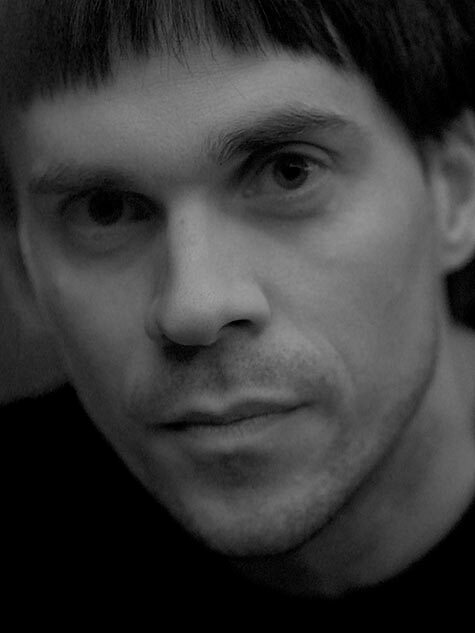 His ideas for the future are driven by a mix of desire, experimental data, and cumulative intuition. Based on proportions of human hands, the light weight and exquisite balance of this kenetic sculpture mean that it moves in even the most-subtle air currents. Carbon, stainless steel, lead, uhwmpe laminate. 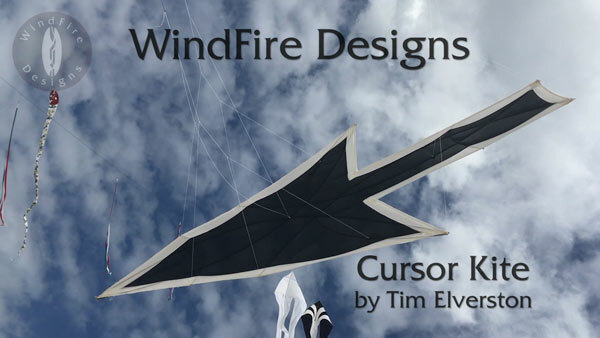 Very little is known about the WindFire Cursor Kite. It seems to be bringing the desktop of your computer outdoors — pfff, finally. 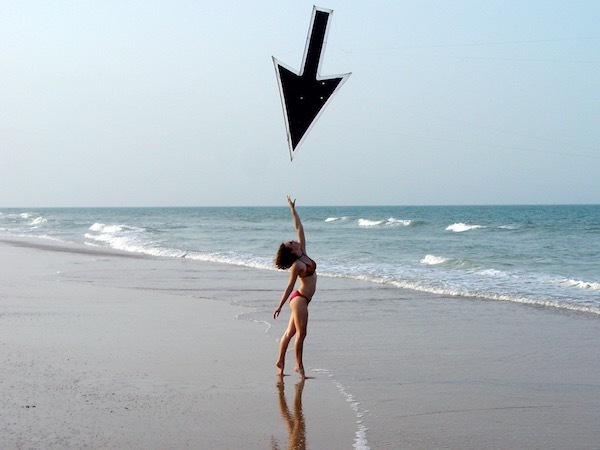 Precise control, silk sail, nearly invisible hand-formed stainless fittings, and opposed-bow tension system make this flying cursor look edited right into the sky. But it isn't. 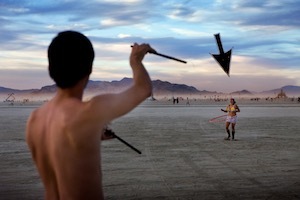 A work of art, both as a concept and a performance — it is a flying sculpture and a social commentary. The visual simplicity comes from considerable technological development. We are very interested in using the obvious potential of this in many ways. If you are reading this and you're having ideas, please consider inviting us to perform in front of your cameras and/or at your event. Carefully designed by Tim Elverston, this high-end addition to the WindFire collection marks the beginning of the WindFire OS Series. Stay tuned and yes, we've got all the logical extensions in the works. 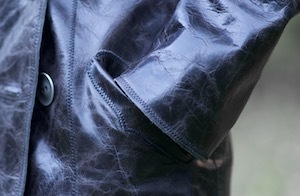 Leather with silk lining. Shape-captured and sculpted on her body for a perfect fit. Designed a full set of three sizes. 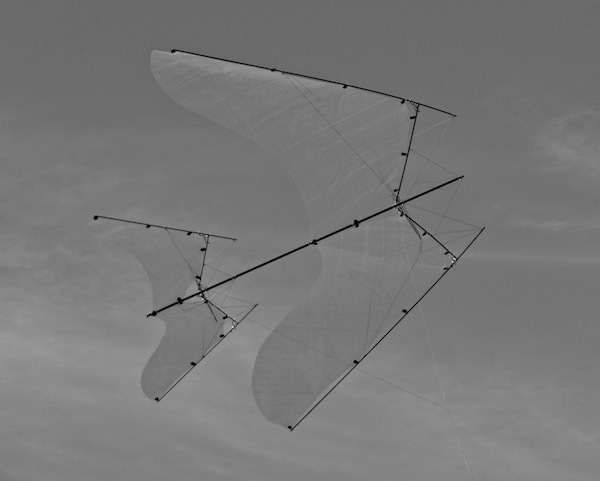 High-performance ultralight ram air foils. Built without the reinforcements found in consumer equivalents. Two flown as a team in image on the left. 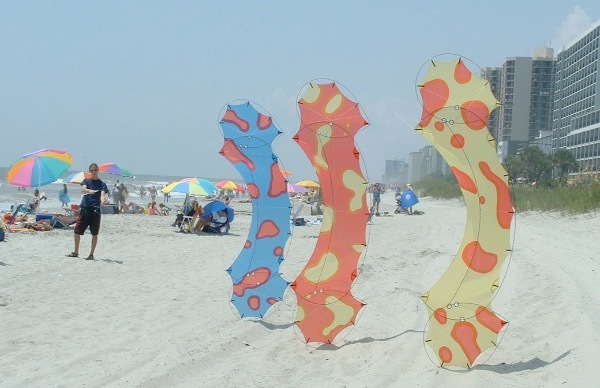 A transformative work in kites. These are porous, adaptive, fluid silk. 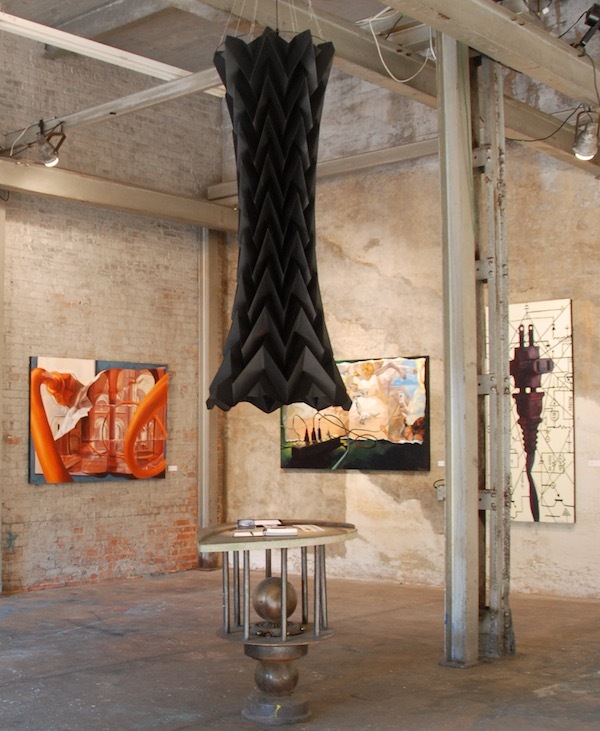 A large flowing form, with minimal framing. Thriving even in intense turbulence, they use the wind as the final element in their own structure, and expand from flat into their lifting configuration as they take flight. Quiet and soft, yet exquisitely precise. It offers a most-intimate experience of flight. 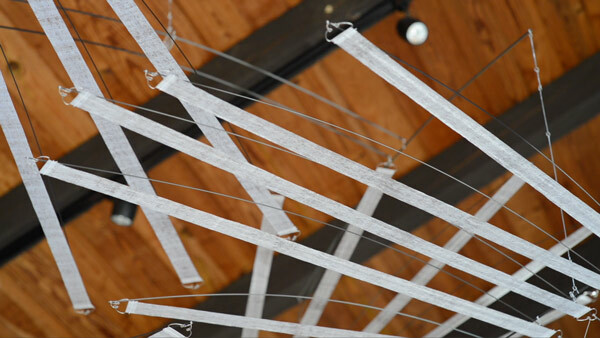 Paper, stainless steel, carbon fiber, thread. Moving in the slightest air currents, the form finds the patterns of the room. 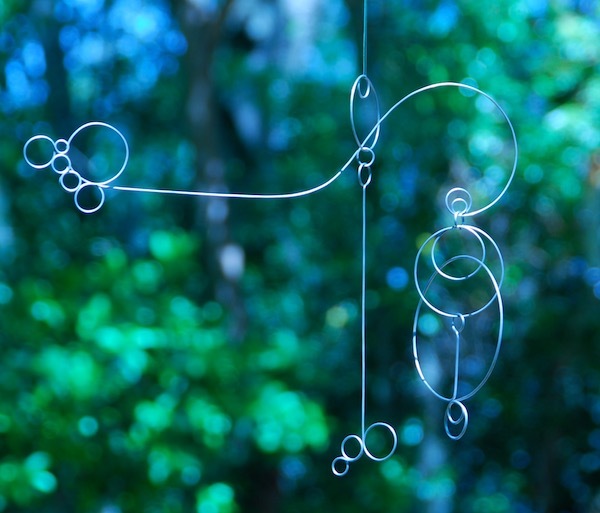 5 sections of stainless steel wire delicately balance as jewelry for trees. 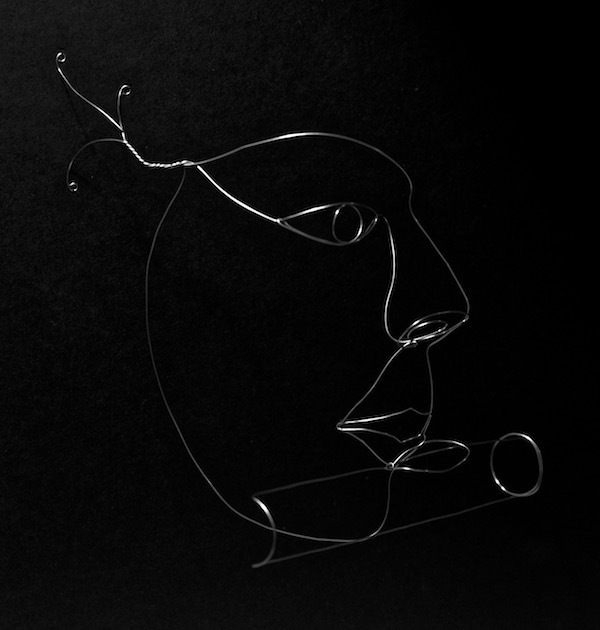 Stainless wire on black board. 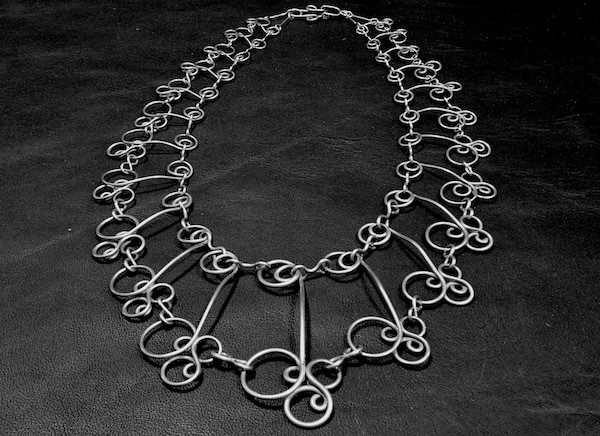 Detail of clasp and necklace design. 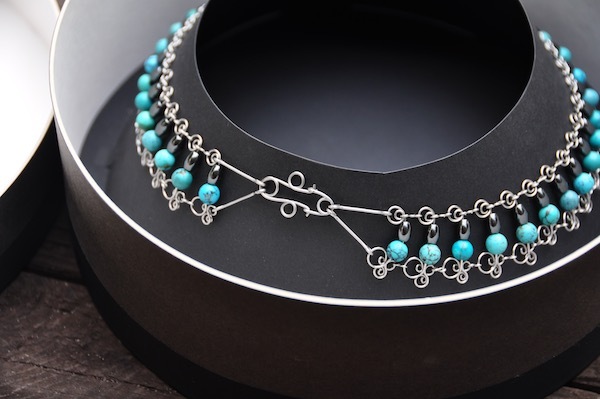 Turquois, hemotite, and stainless steel. 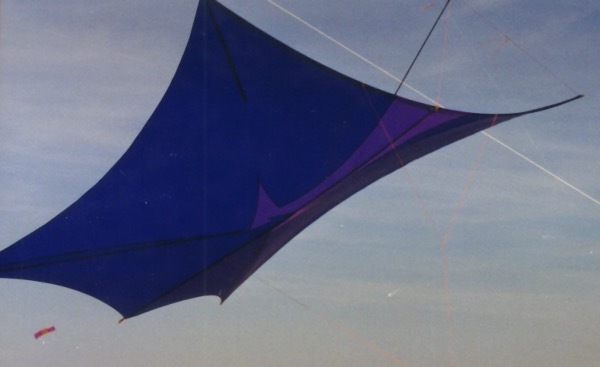 Completely adjustable and modular kite. Based on light through water droplets on glass, the plasma flames were the first public showing of the Flame design by Tim Elverston. 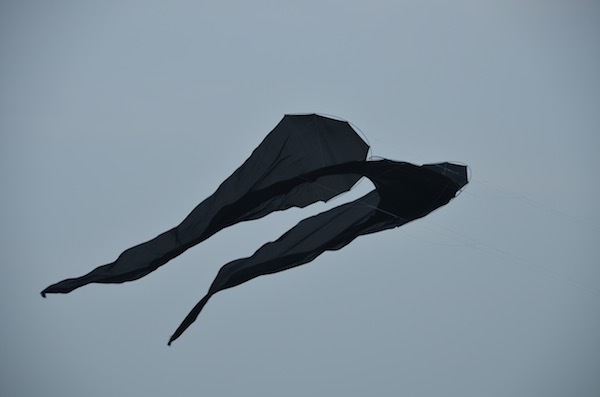 Kite design by Tim Elverston. Painted by Ruth Whiting. 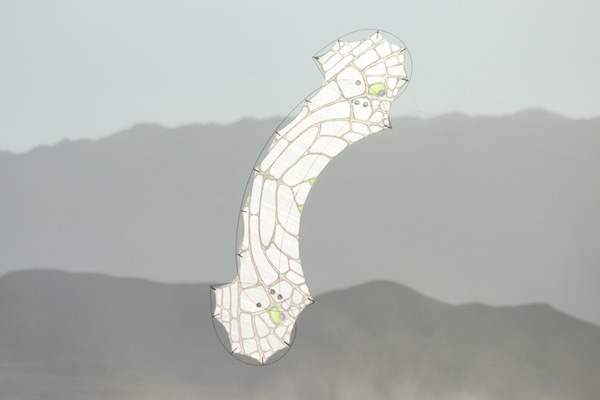 The Flame is a controlable four line kite designed to fly in very light, to zero wind. 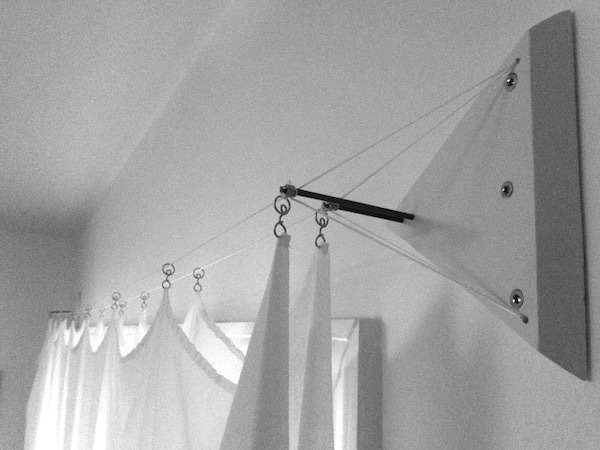 Frictionless, minimalist curtain design with tension towers and spectra line suspension. 6050 square feet. 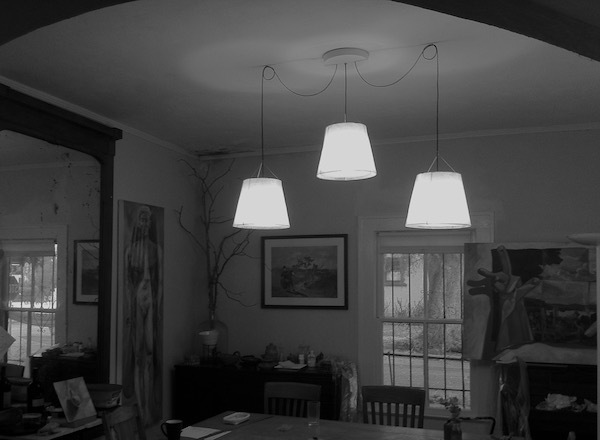 Modular industrial shade solution. 8 hexes, 8 diamonds, featuring Hermaphroloops. 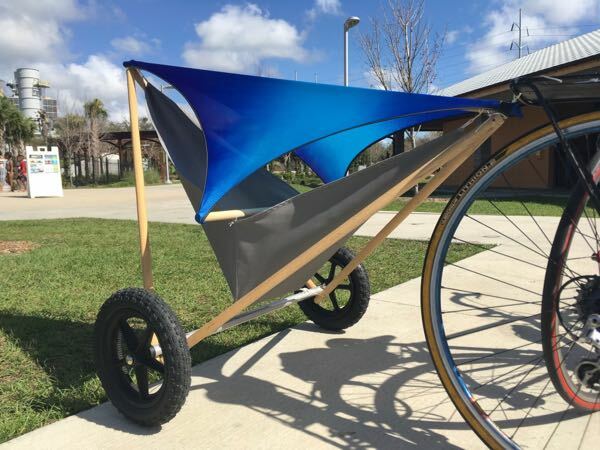 Custom shade design with adjustable heights. 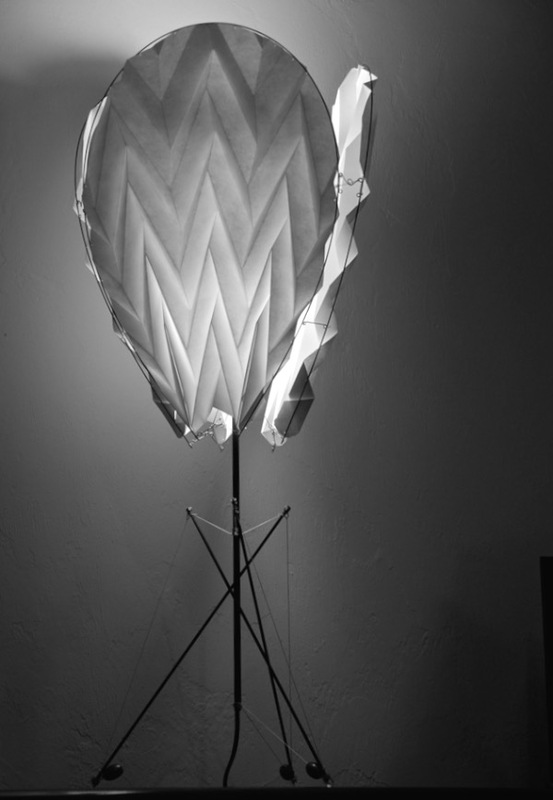 Giant structural origami lamp in paper, housing a down-facing spot light. Background paintings by Ruth Whiting. Two 10' origami lamps in paper. 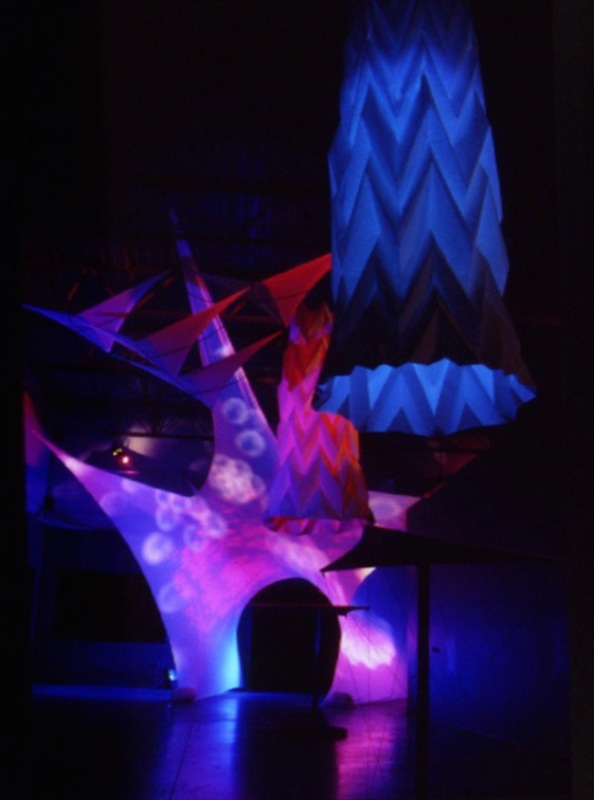 Colors change with sound activation. Tunnel by Marc Ricketts of GuildWorks. 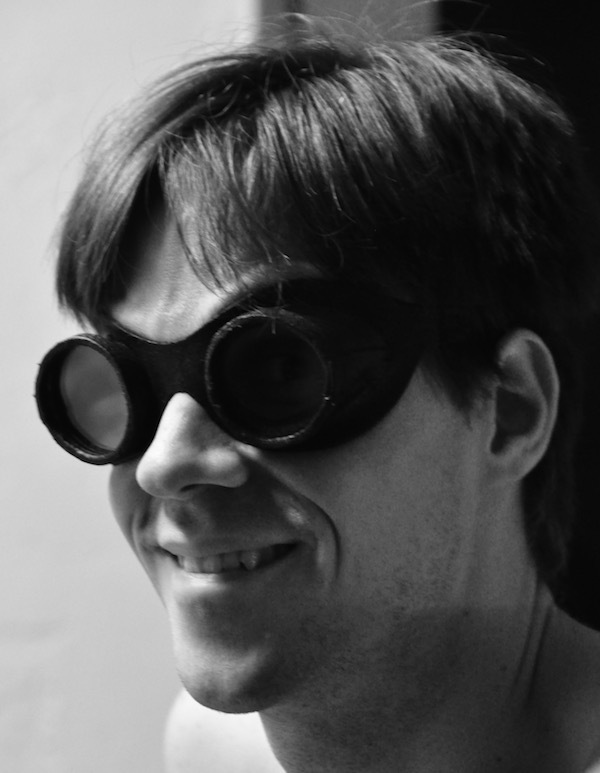 Leather and glass desert goggles with a soft breathable seal that avoids vents—which avoids dust. 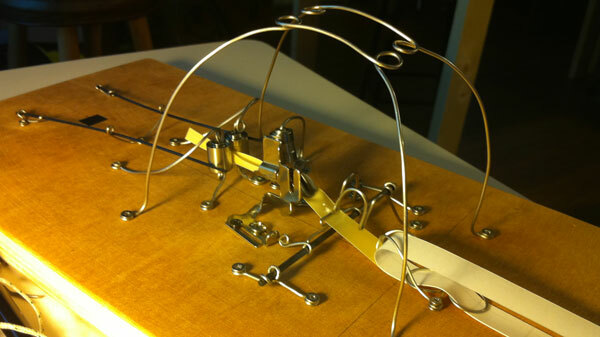 A jig for making many indoor quad line sets all at once. 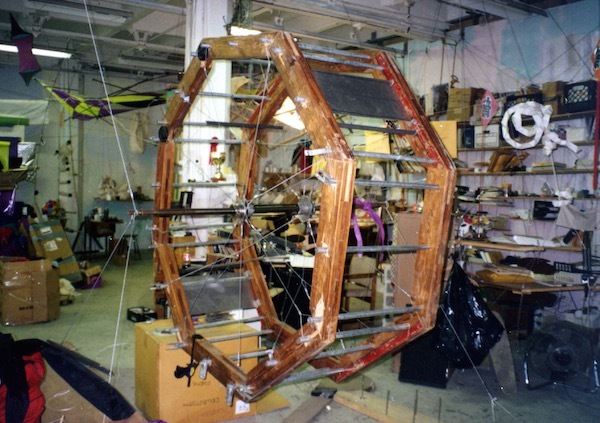 Threaded rod at the center makes the wheel travel, thus distributing lines across the bars evenly, and prestretched. Folded Spectra laminate, carbon fiber. 5 gauges of stainless steel. HDD bearings, screws, wood, sewing foot jig, stainless wire, carbon fiber. 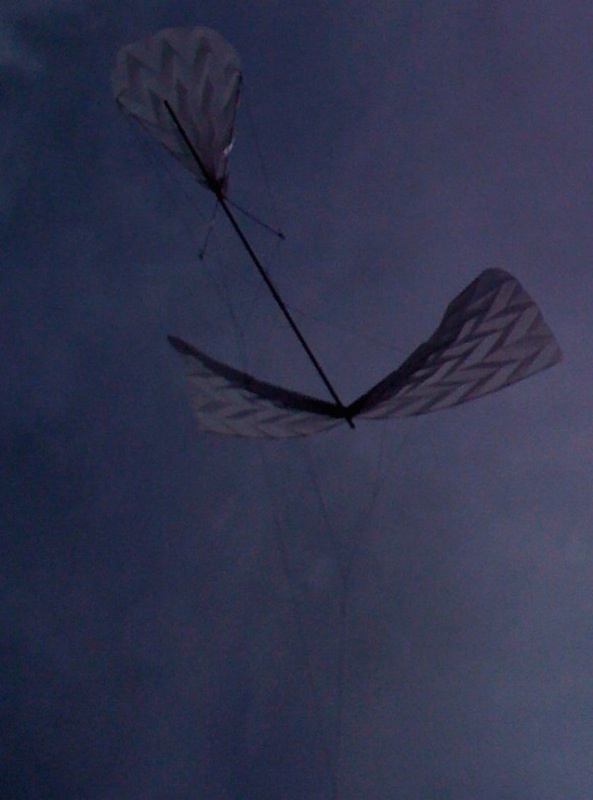 Silk quadline kite. Reversed controls. Silk, carbon, spectra, stainless steel. 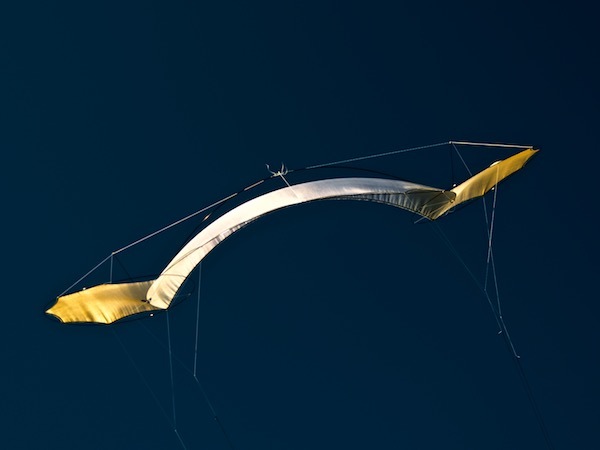 Folds double stick dacron tape in half and removes the backing for use in the Synergy Deca series of kites by Marc Ricketts. Stainless wire and Edison socket. Made for Ruth. 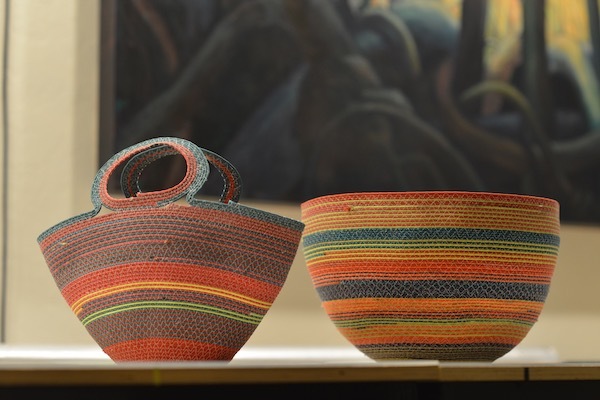 Baskets made from reused paraglider lines. Carbon, aluminum, stainless steel, oak, polyester. Weighs only 4 pounds. Has loops for restraint belt made of silk. 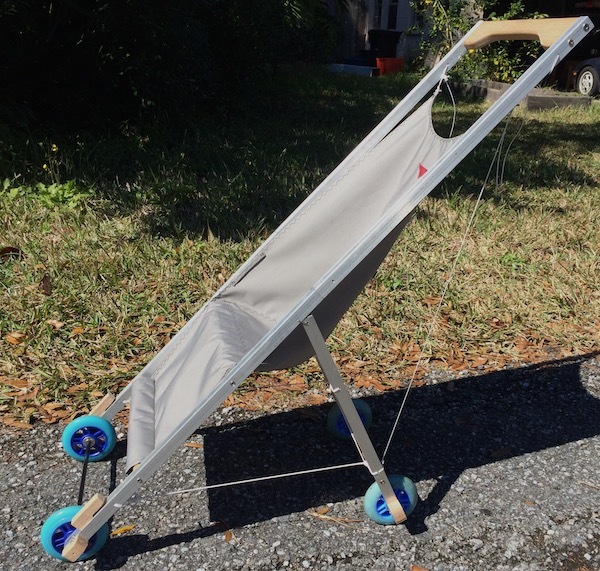 Folds up to be extremely small, rides like a dream. 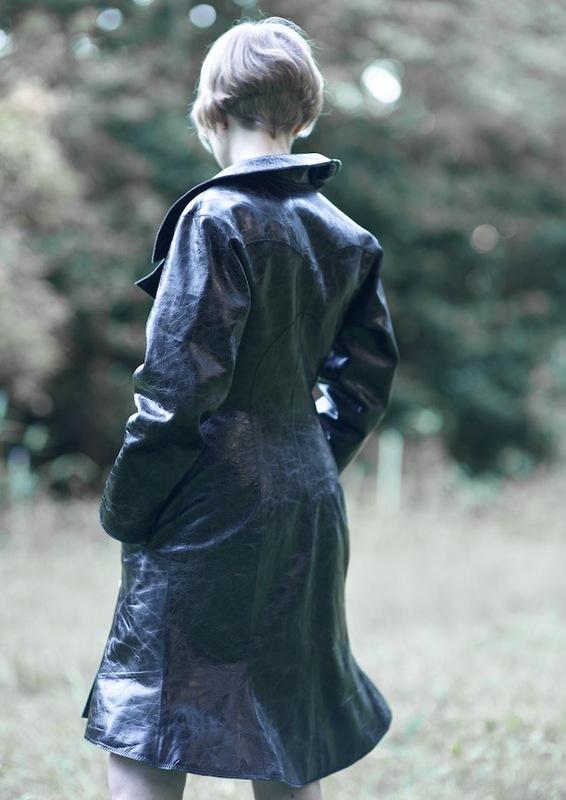 Leather, double braid spectra dacron line, spectra thread. 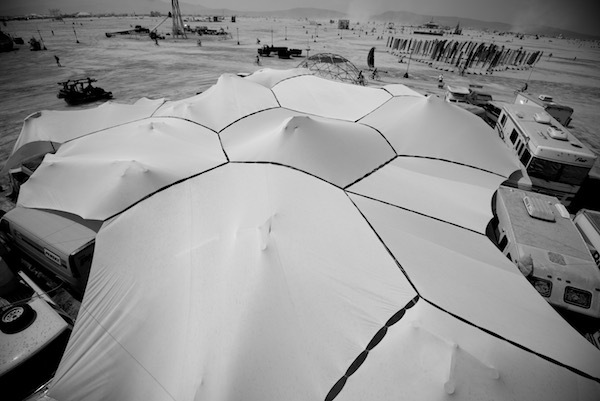 Wood, aluminum, stainless steel wire, fabrics. 8 lbs, for kids, rides like a dream. 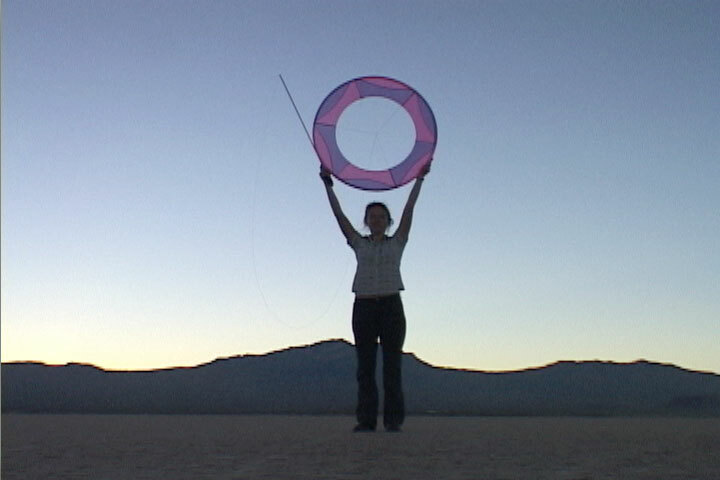 The Original Air-YO™ was carefully designed by three crazy kite builders named Tim Elverston, Curtiss Mitchell, and Ruth Whiting. 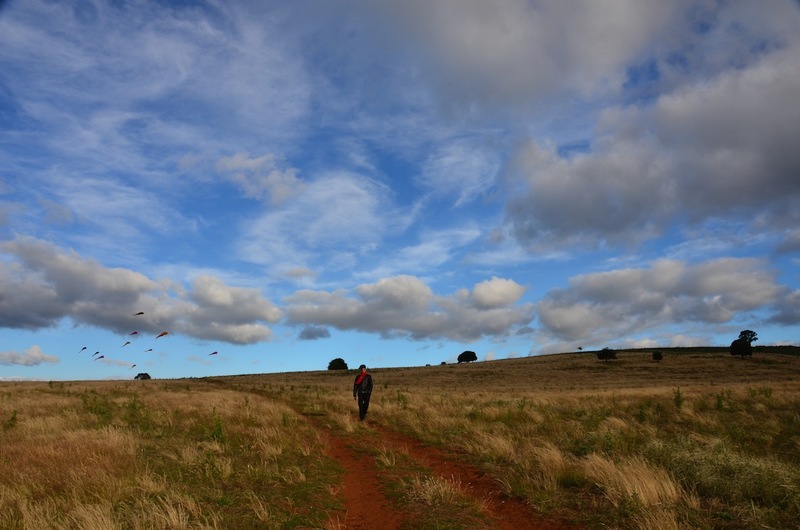 The Air-YO is a toy, but it has its roots in kites. 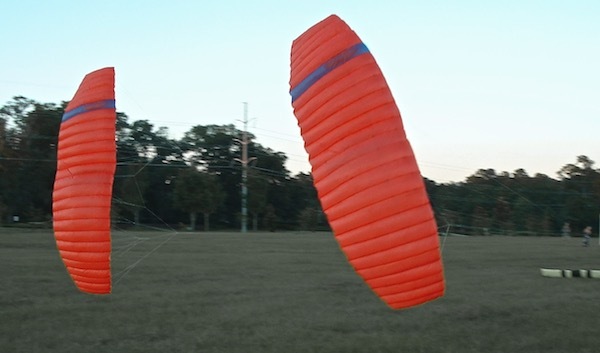 During more than twenty years of flying kites and over ten years of building kites professionally, we've seen kites do some pretty amazing things. One day, many ideas about stuff that flies became clear in our heads and the very first Air-YOtm was put together. 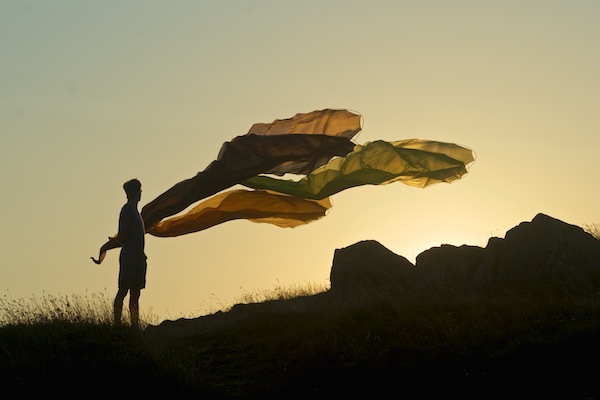 When the Air-YO obeyed us for the first time, it was like magic jumped out of the air and was transmitted through the string directly to our waiting fingertips. We had invented something very special—an object that would give the people who touch it a brand new perspective on what it means to control something that is in flight. 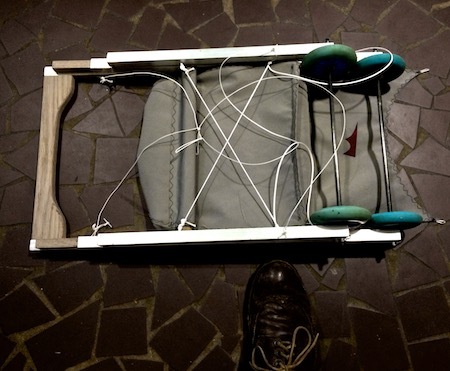 The Air-YO is a tethered-omnidirectional-planing-flying object. It is also the first flying ring toy that doesn't need to spin as it flies. The Air-YO is a training toy for those who want great things, it is a toy to hone your hand-eye coordination, or to make a timid arm nimble again. The Air-YO is a toy to help you see the invisible. It is a family toy to confuse a dog with. It is a toy for when you are peacfully alone. 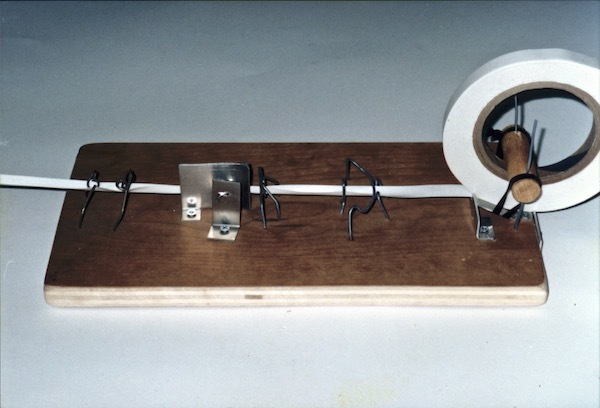 Yet it can draw people together with magnetic force. The truth is that the Air-YO can be more than just a toy, because when people tell you that there are limits in life you can say: "How can that be?… I can Air-YO" and you can mean it!